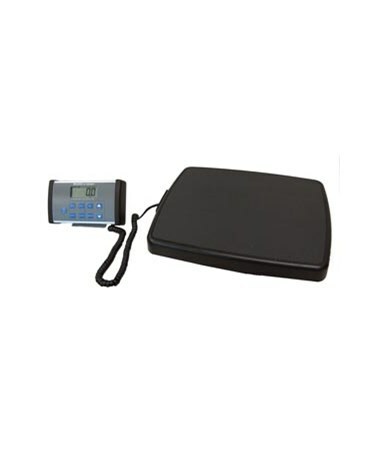 The Health-o-meter Professional Remote Display Scale is a high quality scale ideal for home or healthcare use. The scale is equipped with a large remote 1" LCD display which may be conveniently wall-mounted or placed on a surface of your choice. With EMR connectivity via USB, you have the ability to interface with an electronic device for fast, easy and accurate data transfer. 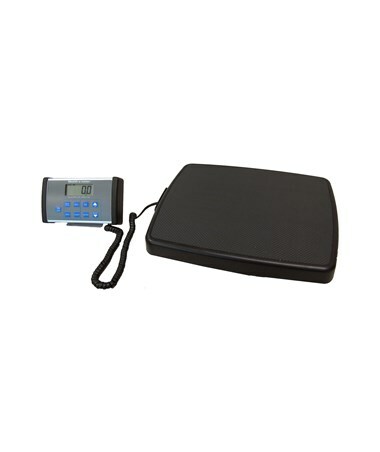 Some other functions included with this scale are LB / KG Conversion, LB / KG Lock out, Body Mass Index (BMI), Zero Out / Tare, Hold / Release, Auto Zero, and Auto Off. The large non-skid platform provides stability and security for your patients. Six AA batteries have been included for your convenience. 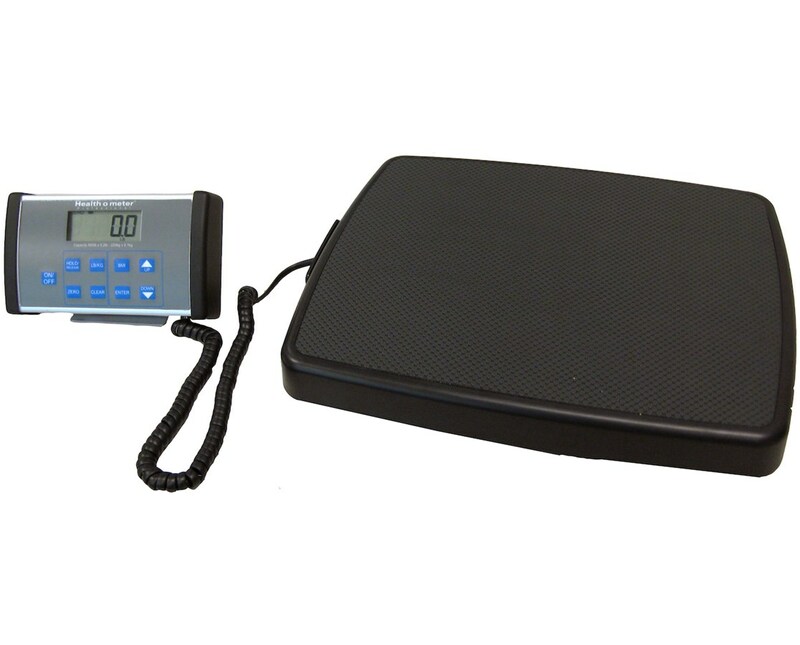 Alternatively, you may power your scale with a 120V adapter (not included). A 2 year warranty ensures that any problems you encounter with this scale will be quickly and efficiently resolved. With the purchase of this 498KL model, you are guaranteed to many years of accuracy, comfort, and reliable use. Overall Measurements 17.75" x 14"
Accuracy <250 lbs. or 110 kg: ±1 lbs; 250 lbs. or 110 kg: ± 2 lbs.